Czech NextStories, billed as a never-ending online magazine, announces that they have released an app for iPad and have added 2 new languages. We first covered them a few months ago, when they were fresh off of their win for “Best CEE Startup” at The Europas 2013, but this gives us an opportunity to re-visit a startup which has already received a plug from popular tech reporter David Pogue of The New York Times. 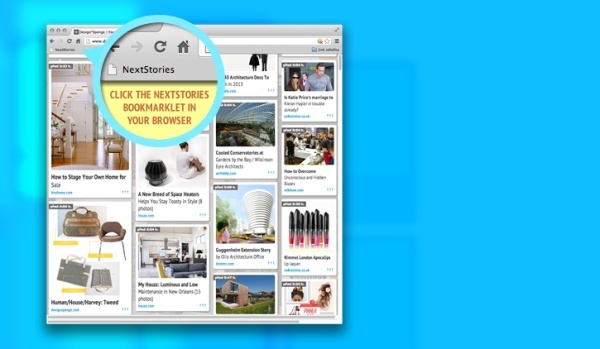 To this point, NextStories has been a bookmarklet which the user can install to use the service. When we first wrote about NextStories, we noted that they offered instructions on installing the bookmarklet on iPads and iPhones in the absence of an iOS app. ns app video from NextStories on Vimeo. As indicated, NextStories offers users a “never-ending magazine”. Designed to learn from the user’s reading habits and preferences, the service offers columns of stories culled from various services. Once the reader finishes a story, he or she can swipe the article away and will be shown a list of articles from the same or similar sources. The user is then presented with columns of fresh stories based from left-to-right on the degree of relevance to the just-completed article. Ondrej Bobal, the CEO and co-founder of NextStories, told us that the service is available in English, German, Spanish, and Czech and that they are working to add French, Polish, and Russian, among others. When we originally spoke with Bobal, he told us that they were going to concentrate on iOS before considering Android and Windows and this latest move falls in line with that statement. I spoke with Bobal again and he tells me that monetization of their service will not include ads, but that users can expect to see “promoted stories” in their feed. He also told me that they will evaluate the response and traction that they get from the iPad app and will only then decide on whether it would be worth developing for Android or another operating system. NextStories was developed by steps2next, a Czech company which also released Talkino, a service we covered last December. The company was founded in 1997, but was acquired by Axel Springer AG back in 2007. Their primary competitors among mobile apps are services like Flipboard, Zite, and the Russian-founded news360.